Use google.com to search for your business. Click on your business listing. Find the “Write a review” button and click it. A “Rate and review” box will open. Log into to bit.ly, or follow the steps to open a free account if you don’t have one already. Click the “Create” button in the upper right corner. The “CREATE BITLINK” window will open on the right side of the page. Copy and paste the long web address in the “PASTE LONG URL” box and click “CREATE.” A new, short web address will appear. Share the new short link to increase your Google reviews! A window will open on the left side of the page. Scroll down and click the “Write a review” button. A “Rate and review” box will open. Follow steps 3 – 9. View our other “How To…” articles. This article was published on 12/20/2012. It was updated on 8/14/2015 and 3/13/2019. As a small business grows in size and complexity, it will often begin enlisting others to help support its efforts. Social media management is a natural area of any business to benefit from a professional marketing consultant. To that end, it may be become necessary for someone else to act as an administrator of a business Facebook page. The first step in giving someone access to a Facebook page for page management purposes is to assign them an Admin role. Facebook allows a business to provide up to six different roles. The Admin role provides page administrators with the highest level of access available. The Analyst role has the lowest level of access. This step-by-step guide describes how to give a person access so they can set up and manage a Facebook page. Choose the role you would like to assign. The six administrative roles, described by Facebook in detail, include Admin, Editor, Moderator, Advertiser, Analyst, and Jobs Manager. Click “Settings” on the top right side of the page. On the next page, click “Page Roles” in the column on the left side of the page. In the space below the heading that reads “Assign a New Page Role,” type in the name of the person you want to add as an admin. If you are Facebook friends with the person, their name will pop up. Click on the name to choose it. If you are not Facebook friends with the new admin, type in the person’s email address. Next, select an admin role for the person from the drop down menu. When you sign up for a Google account, you receive a host of powerful G Suite tools for work and collaboration such as Google Calendar, Drive, Docs, and Maps. You will also automatically receive a Gmail address. You may begin to use your new email @gmail.com and its host of useful features, but it may also be helpful to associate another email address with your Google account for several reasons! If you’d like to log into a Google Analytics account without having to create a new Gmail email. If you need access to Google Docs, but don’t have Gmail. 1.Go to google.com and click “Sign in” on the top right-hand side of the page. The “Create your Google Account” screen will open. 4. On the Create your Google Account screen, click “Use my current email address instead.” Fill in your email address, add a password, confirm the password, and click the “Next” button. 5. Verify the email address with the code that will be sent to you via email. 6. You will be asked for a mobile phone number for text verification. 7. Receive the 6-digit verification code on your phone. Fill in the code to verify your phone number. 2. Login to the Instagram account you want to post to. 4. In this view, HTML developers screen appears on the right, click the toggle device toolbar icon with your mouse (circled in red). 6. The Instagram toolbar (red highlight) will appear at the bottom of the window similar to the mobile app. 7. Click on the plus button icon. This will access your computer’s hard drive to add images. 8. Select the photo you want to use to begin a new post. 9. Then choose “Next” and type in a caption and any hashtags you want. 10. Hit share and Voila! It’s posted to your Instagram account from your computer! Did you find this article helpful? Comment below and share with your family and friends! This article was updated on January 21, 2019. Creating a LinkedIn business page is a key component of a complete local business internet marketing strategy. LinkedIn is the top social media site for business professionals and LinkedIn business pages provide a unique opportunity for a business to showcase its products and services in a professional manner. Regular updates can be shared with followers on a business LinkedIn page and built-in analytic tools allow page owners to measure the impact they are having on this social media platform. 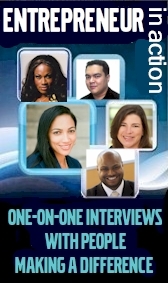 Here are the simple steps to giving additional people access to your LinkedIn business page. There can only be one page owner, so giving someone admin access is a safe and effective way to involve others in helping to manage the page. Go to your Linkedin business page. Click the “Admin tools” arrow on the top right side of the page. The name will appear in a drop down menu. Select the name and click “Save changes” in the lower left corner. One of the most important directory listings on the Internet for a small business is the Google My Business listing. This online directory integrates the Google Maps listing with the Google Knowledge Panel, Google Reviews and even YouTube. It is critical for small businesses to claim or create and optimize their Google My Business account to improve ranking in a Google search result and for increased search engine visibility. 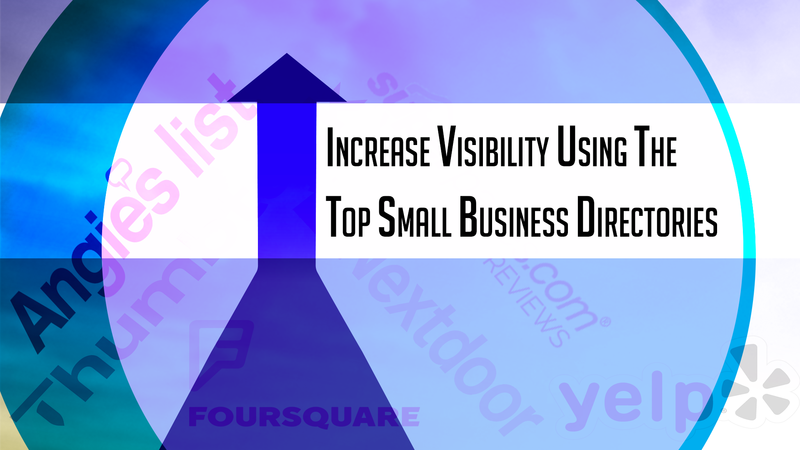 When embarking on this local SEO strategy, many businesses find that their Google Maps listing has already been claimed by someone unknown to the business. In this case, there are a series of steps that need to be taken to claim a Google listing that is already verified. Good luck and have patience on your quest to enhance this important digital footprint! You must first decide what email address you want to use to ‘claim’ the business listing. It is recommended that an email address be used that is connected to the business domain name such as webmaster@mywebsite.com. Go to Google My Business and click “Start Now” http://www.google.com/business and either login, if using an existing email address connected to Google or select ‘create an account’ and associate a new email address with Google. Type in the address of the business you want to claim. 10. A response will be sent to the gmail account you are using to claim the profile (Reference image below). Make sure to keep this email in a place you can easily locate it, as it will be necessary for the next steps. 11. Then, the waiting begins. Once the allotted time, 7 calendar days, has passed, it is now possible to manage the profile without permission from the current owner. Locate the email you received from Google 7 days ago and click the “ok” button at the bottom of the message. Next, fill out the required information for the Google business listing. Lastly, you will be asked to “verify the account” with one of the following methods (e.g. Phone call, business email, or postcard by mail). 12. The person who verifies should expect to receive either a 5 or 6 digit code (e.g. via by phone, business email or postcard). Once the code is received, locate the verification needed (reference image below) under the Home section of your profile, click verify and input the code to gain control of your Google My Business profile. Need help with claiming your Google My Business account? Contact Loebig Ink to help expedite the process. Fill out our Google My Business Questionnaire after speaking with one of our account managers! As Facebook continues to evolve new advertising options for business owners, several free options have been eliminated including the easy to use, but discontinued, “check-in deal.” One lesser known option still remains and is highly effective as a free promotion tool for small businesses. 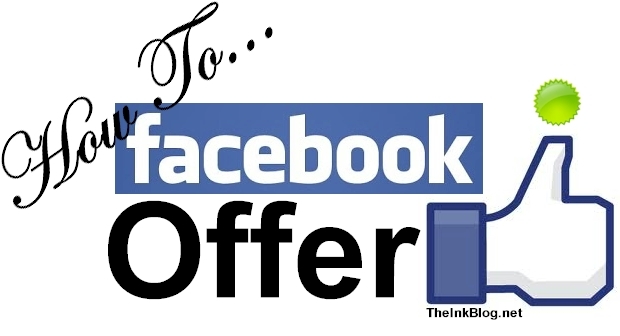 The “Facebook Offer” is an advertising option that has outlasted its predecessors. The fact that this offer can be created without a budget and instantly posted on a page is very useful. The following steps are used as a resource by my own social media crew. Click the Offers link on the left side of the page. The “Create an Offer, Discount, or Deal” popup window will open. Upload an image. Use an image with little or no text. Set an expiration date by clicking today’s date and then clicking a different date in the future. Under “Where can people redeem this?” click the box next to “In-Store” or “Online.” If your offer can be redeemed online, type the complete web address where it can be redeemed. Add a promo code (optional). For more Facebook and other related articles visit our How To posts. Feel free to contact us for more specific requests for service. Networking takes time, effort and money. For some business owners, it can be a sacrifice even though they know it’s beneficial. So, BNI (Business Networking International) has policies that respect the time and sacrifice of its members. These policies reflect the mission of this respected Global Networking group, and sets it apart from its competitors. Policy #1: Only One Person from Each Professional Classification. Policy #2: Members represent their primary occupation. Policy #5: Attendance is critical to the group. If a Member cannot attend, you may send a substitute (not a Member of the Chapter) to the meeting. This will not count as an absence. Policy #6: Members are required to bring bona-fide referrals and/or visitors to their Chapter of BNI. Chapters may establish a minimum number of referrals and/or visitors that is acceptable. Policy #7: Visitors and subs may attend Chapter meetings up to two times. Policy #8: Speakers must bring a door prize. Only Members bringing a visitor or referral are eligible for the door prize. Policy #9: There are no leaves of absence except for medical leaves. A Member may take up to eight weeks medical leave with the Membership Committee’s prior approval. Policy #11: Members who wish to change their classification must submit a new Membership Application and get approval from the Membership Committee for that classification change. Policy #14: If the Leadership Team fulfills all responsibilities throughout their term, they will receive as consideration an exemption of participation fees during their tenure as a Leader. Policy #15: In the absence of a Membership Committee, the Leadership Team may act as an ad hoc Membership Committee until one is established. Policy #16: All BNI membership lists are for the purpose of giving referrals and not for soliciting (via email, direct mail or other means) BNI Members or Directors without their prior approval. Policy #17: All new members must attend the Member Success Program (MSP) training in their region within the first 60 days after their induction. Only after attending the MSP training. Policy #18: Policies are subject to change. All proposed policy changes need to be reviewed first by the Board of Advisors. Policy #19: Other than normal BNI printed materials, members may not use the BNI Intellectual Property (e.g. logos, trademarks, names, slogans, copyrighted materials, etc.) to manufacture their own promotional materials. Policy #20: There is an initial application fee. Fees are paid annually or biennially. Contact the local Secretary/Treasurer for amounts. Fees may be paid with VISA, MASTERCARD, DISCOVER. If you are not a member of a local BNI Chapter, we encourage you to find one in your area. Contact Brian Loebig of Loebig Ink, LLC and president of BNI Capital Business Alliance in Bethesda, MD for more information at (301) 244-8324 or brian@loebigink.com.